Nonetheless, at 3:00 PM UTC, the cryptocurrency market experienced an influx of buying volume, with Bitcoin rapidly returning to the pre-announcement price levels at ~$8,200. Many attributed this expedited bounce to investors collectively realizing that market reaction to the SEC ruling was irrational. As duly pointed out by cryptocurrency researcher Alex Magnus, the majority of cryptocurrency investors weren’t cognizant of the Winklevoss’ revision, as the announcement of the refiling slid under the radar of most. This latest etf narrative has been built around the VanEck SolidX filing. Most people weren’t even aware that the Winklevoss etf was still in play after March ‘17 rejection. Commissioner Pierce’s dissent seems to have fueled the new etf anticipation. The awareness, or lack thereof, regarding the ETF revision, was clearly seen as CNBC broke the news, as many were swift to call it old news rehashed. In short, it has become apparent that the absence of awareness resulted in an irrational slide downwards, as details were initially sparse. So it would only make sense why Bitcoin would see a reversal as the market cooled off. Lee also noted that his firm’s so-called “Bitcoin Misery Index,” which uses a variety of indicators to measure market sentiment, is out of the “misery” zone at 39. It’s at 39. So it’s been recovering and def out of misery zone (below 27). As indicated by the statement above, and appearances on CNBC Fast Money, the positive trend seen with this indicator could suggest that Bitcoin will only continue to move upwards in the medium to long-term. As aided by the market’s most recent volume figures, which currently total to $20 billion in the past 24 hours, the reversal could be classified as a “strong recovery” by many analysts. Additionally, Bitcoin recovered in a shorter amount of time then it took to move down, indicating that this was no “half-assed” recovery. The market still is eagerly awaiting the upcoming decision on the VanEck and Cboe-backed ETF, with many seeing the fate of the verdict as still up in the air. 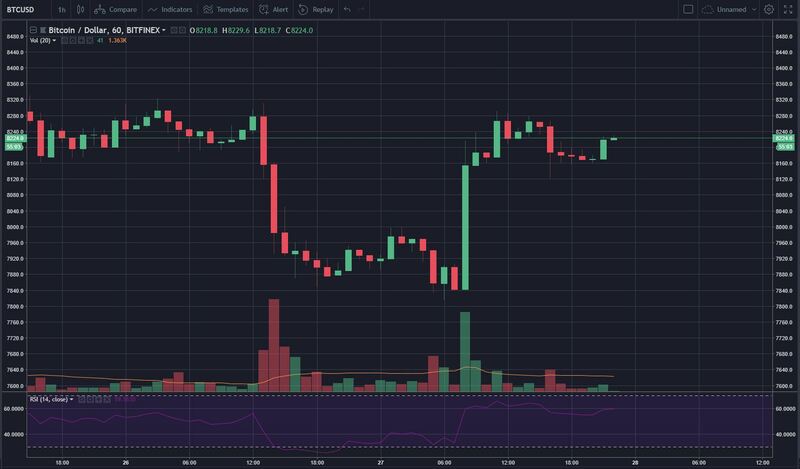 The post Bitcoin Immediately Recovers From Winklevoss ETF Rejection, and It’s a Good Thing appeared first on NewsBTC.